The first settlers in northern Sudan date back 300,000 years. It is home to the oldest sub-Saharan African kingdom, the kingdom of Kush (about 2500-1500 BC). This culture produced some of the most beautiful pottery in the Nile valley, including Kerma beakers. 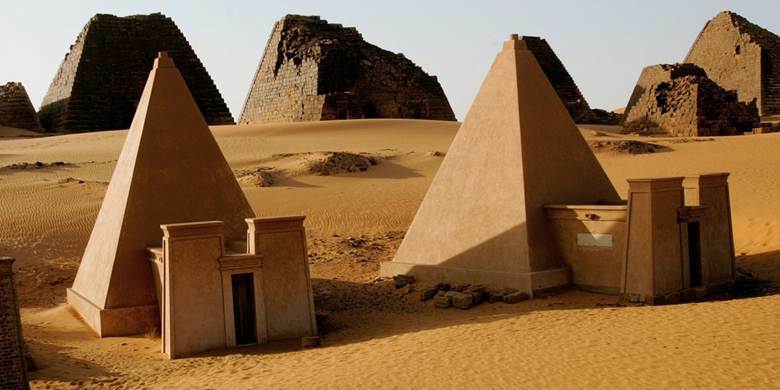 Sudan was coveted for its rich natural resources particularly gold, ebony and ivory. 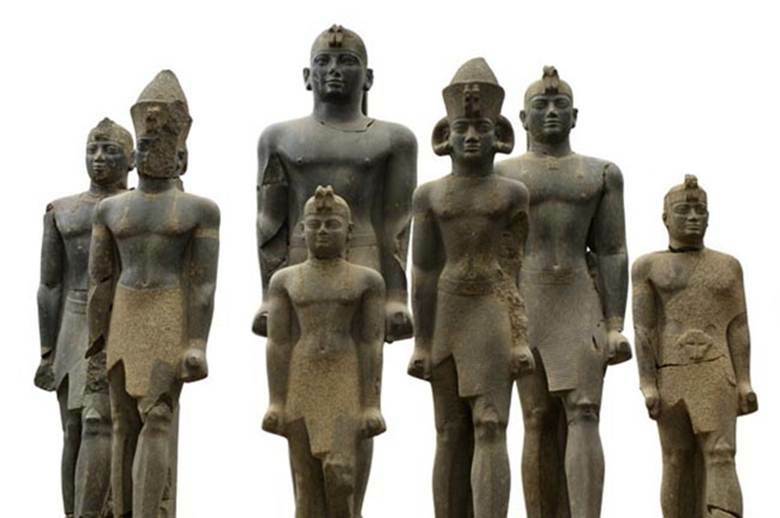 Ancient Egyptians were attracted southward seeking these resources during the Old Kingdom (about 2686-2181 BC), which often led to conflict as Egyptian and Sudanese rulers sought to control trade. Kush was the most powerful state in the Nile valley around 1700 BC. Conflict between Egypt and Kush followed, culminating in the conquest of Kush by Thutmose I (1504–1492 BC). In the west and south, Neolithic cultures remained as both areas were beyond the reach of the Egyptian rulers. Egypt withdrew in the eleventh century BC and the Sudanese kings grew powerful. They invaded Egypt and ruled as Pharaohs (about 747-656 BC). At its greatest, their empire united the Nile valley from Khartoum to the Mediterranean. King Taharqo’s sphinx remains a testament to Kushite power and authority. The Kushites were expelled from Egypt by the Assyrians, but their kingdom flourished in Sudan for another thousand years. 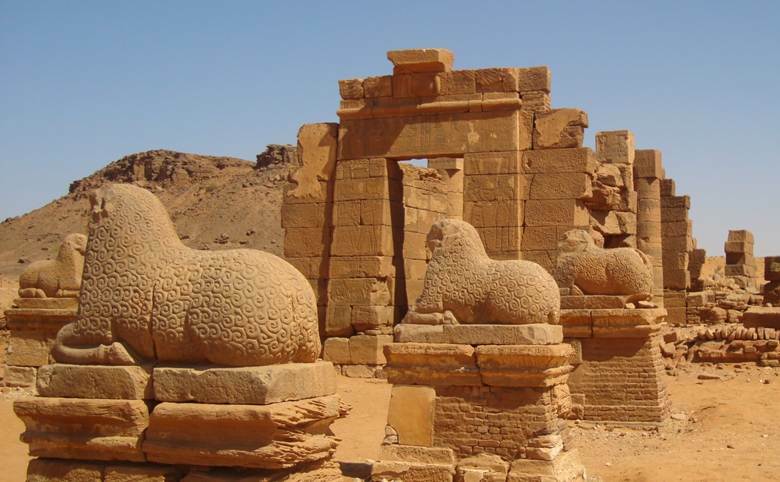 Kush monuments and art display a rich combination of Pharaonic, Greco-Roman and indigenous African traditions, and two are UNESCO World Heritage Sites – Meroe and Jebel Barkal. Tall pyramids, gigantic mud-brick buildings, rock-cut painted tombs, and ornately carved temples. By the 6th century, fifty states had emerged as the political and cultural heirs of the Meroitic Kingdom. Nobatia in the north, also known as Ballanah, had its capital at Faras,; the central kingdom, Muqurra (Makuria), was centred at Dunqulah, about 13 kilometres south of modern Dunqulah; and Alawa (Alodia), in the heartland of old Meroe, which had its capital at Sawba (now a suburb of modern-day Khartoum). In all three kingdoms, warrior aristocracies ruled Meroitic populations from royal courts where functionaries bore Greek titles in emulation of the Byzantine court. A missionary sent by Byzantine empress Theodora arrived in Nobatia and started preaching Christianity about AD 540. The Nubian kings became Monophysite Christians. However, Makuria was of the Melkite Christian faith, unlike Nobatia and Alodia. After many attempts at military conquest failed, the Arab commander in Egypt concluded the first in a series of regularly renewed treaties known as Albaqut (pactum) with the Nubians that governed relations between the two peoples for more than 678 years. Islam progressed in the area over a long period of time through intermarriage and contacts with Arab merchants and settlers, particularly the Sufi nobles of Arabia. In 1093, a Muslim prince of Nubian royal blood ascended the throne of Dunqulah as king. The two most important Arab tribes to emerge in Nubia were the Jaali and the Juhayna. Both showed physical continuity with the indigenous pre-Islamic population. Today’s northern Sudanese culture combines Nubian and Arabic elements. 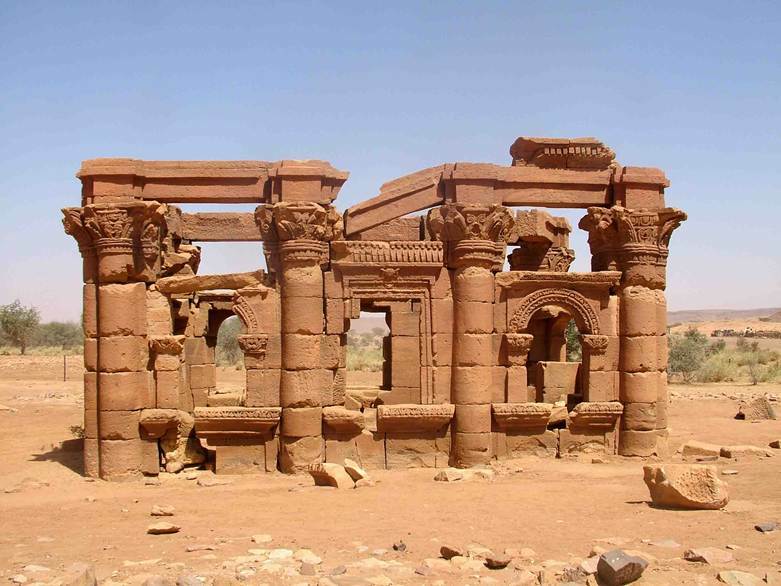 During the 16th century, a people called the Funj, under a leader named Amara Dunqus, appeared in southern Nubia and supplanted the remnants of the old Christian kingdom of Alwa, establishing As-Saltana az-Zarqa (the Blue Sultanate), also called the Sultanate of Sennar. The Blue Sultanate eventually became the keystone of the Funj Empire. By the mid-16th century, Sinnar controlled Al Jazirah and commanded the allegiance of vassal states and tribal districts north to the Third Cataract and south to the rainforests. The government was substantially weakened by a series of succession arguments and coups within the royal family. In 1820 Muhammad Ali of Egypt sent 4,000 troops to invade Sudan. The pasha’s forces accepted Sinnar’s surrender from the last Funj sultan, Badi VII. In 1820, the Ottoman ruler of Egypt Muhammad Ali Pasha invaded and conquered northern Sudan. Though technically the Wāli of Egypt under the Ottoman Sultan, Muhammad Ali styled himself as Khedive of a virtually independent Egypt. Seeking to add Sudan to his domains, he sent his third son Ismail to conquer the country, and subsequently incorporate it into Ottoman Egypt. This policy was expanded and intensified by Ibrahim’s son, Ismail I, under whose reign most of the remainder of modern-day Sudan was conquered. In 1879, the Great Powers forced the removal of Ismail and established his son Tewfik I in his place. Tewfik’s corruption and mismanagement resulted in the Orabi Revolt, which threatened the Khedive’s survival. Tewfik appealed for help to the British, who subsequently occupied Egypt in 1882. Sudan was left in the hands of the Khedivial government, and the mismanagement and corruption of its officials became notorious. During the 1870s, European initiatives against the slave trade caused an economic crisis in northern Sudan, precipitating the rise of Mahdist forces. 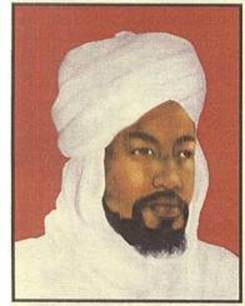 Eventually, a revolt broke out in Sudan, led by Muhammad Ahmad ibn Abd Allah, the Mahdi (Guided One), who sought to end foreign presence in Sudan. His revolt culminated in the winter of Khartoum and the killing of the British governor General Gordon (Gordon of Khartoum) in 1885. Egypt and Britain subsequently withdrew forces from Sudan leaving the Mahdi to form a national rule. Six months after the liberation of Khartoum by Mahdi, he died of typhus, his deputy, Abdallahi ibn Muhammad, succeeded him. After consolidating his power, Abdallahi ibn Muhammad assumed the title of Khalifa (successor) of the Mahdi, instituted an administration, and appointed Ansar as emirs over each of the several provinces. Regional relations remained tense throughout much of the Mahdiyah period, largely because of the Khalifa’s ambitious methods to extend his rule throughout the country. In 1887, a 60,000-man Ansar army invaded Ethiopia, penetrating as far as Gondar. In March 1889, king Yohannes IV of Ethiopia, marched on Metemma; however, after Yohannes killed in battle, the Ethiopian forces withdrew. Abd ar Rahman an Nujumi, the Khalifa’s general, attempted an invasion of Egypt in 1889, but British-led Egyptian troops defeated the Ansar at Tushkah. The Belgians prevented the Mahdi’s men from conquering Equatoria, and in 1893, the Italians repelled an Ansar attack at Akordat (in Eritrea) and forced the Ansar to withdraw from Ethiopia. In the 1890s, the British sought to re-establish their control over Sudan, once more officially in the name of the Egyptian Khedive, but in actuality treating the country as British imperial territory. By the early 1890s, British, French and Belgian claims had converged at the Nile headwaters. Britain feared that the other imperial powers would take advantage of Sudan’s instability to acquire territory previously annexed to Egypt. Apart from these political considerations, Britain wanted to establish control over the Nile to safeguard a planned irrigation dam at Aswan. Lord Kitchener led military campaigns from 1896 to 1898. Kitchener’s campaigns culminated in the Battle of Omdurman. Following defeat of the Mahdists at Omdurman, an agreement was reached in 1899 establishing Anglo-Egyptian rule, under which Sudan was run by a governor-general appointed by Egypt with British consent. In reality, much to the revulsion of Egyptian and Sudanese nationalists, Sudan was effectively administered as a British colony. The British were keen to reverse the process, started under Muhammad Ali Pasha, of uniting the Nile Valley under Egyptian leadership, and sought to frustrate all efforts aimed at further uniting the two countries. During World War II, Sudan was directly involved militarily in the East African Campaign. Formed in 1925, the Sudan Defence Force (SDF) played an active part in responding to the early incursions (occupation by Italian troops of Kassala and other border areas) into the Sudan from Italian East Africa during 1940. In 1942, the SDF also played a part in the invasion of the Italian colony by British and Commonwealth forces. From 1924 until independence in 1956, the British had a policy of running Sudan as two essentially separate territories, the north and south. The last British Governor-General was Sir Robert Howe. Sudanese revolted against the Anglo-Egyptian. In 1921, Ali Abdelafif, a former army officer, founded the United Tribes Society that called for an independent Sudan. He later established the White Flag League that organized demonstrations in Khartoum. Abdelatif’s arrest and subsequent exile in Egypt sparked a mutiny by a Sudanese army battalion. These events are recalled as the Revolution of 1924. In 1942 the Graduates’ General Conference, a quasi-nationalist movement formed by educated Sudanese, presented the government with a memorandum that demanded a pledge of self-determination after the war to be preceded by abolition of the Closed Districts Ordinance, an end to the separate curriculum in schools of South sudan, and an increase in the number of Sudanese in the civil service. In 1948, Britain authorized a partially elected consultative Legislative Assembly with an executive council consisting of five British and seven Sudanese members. In 1952, the Legislative Assembly negotiated the Self-Determination Agreement with Britain. The legislators then enacted a constitution that provided for a prime minister and council of ministers responsible to a bicameral parliament. The new Sudanese government would have responsibility in all areas except military and foreign affairs, which remained in the British governor general’s hands. The transitional period toward independence began with the inauguration of the first parliament in 1954. On 19 December 1955 the Sudanese parliament, unilaterally and unanimously, declared Sudan’s independence. 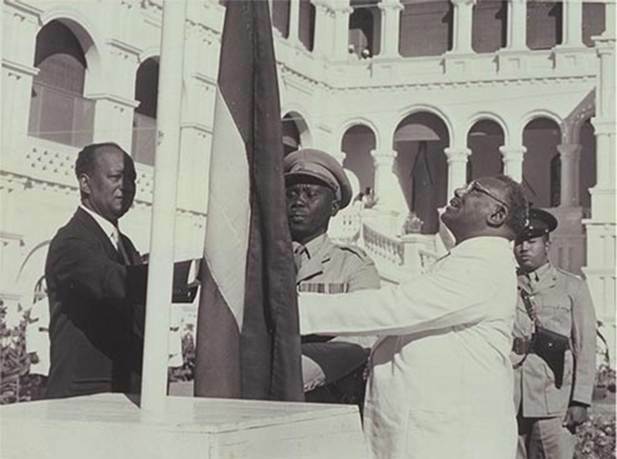 The British Government recognized the independence of Sudan on 1 January 1956.